Why Look At Dollar Volume? Dollar volumes aren’t just important because Realtors get a percentage of it as their pay – they show liquidity. As dollar volumes rise, more buyer dollars are participating in the market, showing sellers have options. When the volume drops, it means less buyer’s are participating in the market. By itself, participation doesn’t give us all that much – especially when detached from the number of units. However, it serves as confirmation or diversion of a trend. Rising prices on higher dollar volumes mean more buyers are accepting an up trend. What you’re seeing is more people accepting the market price, which means it’s healthy. When the dollar volume declines with prices, you’re seeing the market reject higher prices – making it more difficult for sellers. If prices move in the opposite direction, like higher on lower dollar volume – you have a diversion. This means fewer buyers are pushing prices higher, an indication that market exhaustion has occurred. The dollar volume of sales through the MLS dropped considerably last year. The value of sales fell to $224.04 billion in 2018, down 14.78% from the year before. 2017 was also considered slow for sales, but still ended the year up 0.14% from the year before. What we’re seeing is actually a new trend – declining dollar volume. The dollar volume of Canadian real estate sales, as reported through the MLS. Every single month came in lower this year, but around March was the worst. March’s dollar volume fell to $20.61 billion, down 30.7% from the year before. That works out to $9.13 billion lower, just over 23% of the total decline. Only major markets east of Toronto experienced dollar volume growth, with the exception of Windsor. Gatineau sales came in at $1.17 billion in 2018, up 10.4% from the year before – the greatest highest increase. 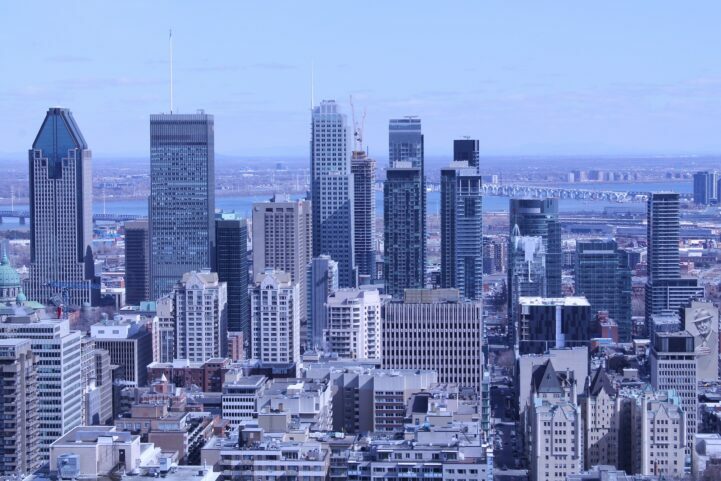 Montreal followed in growth with $17.65 billion in sales, up 9.4% from the year before. Halifax came in third with $1.65 billion in sales, up 8.2% from last year. Only three other markets with over a billion in sales in 2018 saw growth, the rest experienced declines. The 2018 dollar volume of Canadian real estate sales in markets with over a billion in sales, as reported through the MLS. Toronto, Vancouver, and its suburbs led the market lower. Greater Vancouver reported $26.26 billion in 2018, down 30.4% from the year before. Fraser Valley, a board adjacent to Vancouver, followed with $11.09 billion in 2018 sales, a drop of 26.3% from the year before. Greater Toronto fell to $ 61.34 billion, a drop of 20.1% from the year before. Hamilton-Burlington, a suburb of Toronto, was in fourth at $6.6 billion in sales, a 19.1% decline form the year before. All four of these markets performed below the national average. Dollar volumes dropped across the country, led by some of the largest markets. Now you can compare those to home price movements, to see how they compare. What’s that, like $1.9 billion in commissions not made this year? Someone’s going to have uber in they Tesla between clients. Sad part is that realtor commissions are apparently 3% of Canadian GDP. That’s what I call producing value! It’s pretty clear that market is slowing down and not rebounding. Add to that record amount of condo coming in 2019 (21,991) , increase from 2018 (16,994) and it becomes clear the upside potential for RE prices is the short term is pretty much nonexistent. I just don’t buy it. Development costs are just too high to have prices drop to affordable levels by adding supply via rural low density subdivisions. The math does not add up. Rates will increase and amortization will be extended, the world will continue to function. Low rates and 30 year amorts didn’t protect the US from a massive housing bust. Long amorts and interest-only loans (so-called “endowment mortgages”) did not protect Ireland from a crash. Yet extended amorts will somehow magically prevent Canada’s housing market from ever correcting. It’s different here. Just accept it. I hope you are right – sold my downtown Toronto condo in October 2018 – renting now ! Hopefully we crash more than 10% – need that to cover my Commissions, Legal, Moving and Land Transfer Costs. This may be interested to existing and future Airbnb investors in Toronto. Looks like regulation is coming so position your investments accordingly. Exactly xelan! And Toronto can’t balance their budget…hmmmm…where could they raise revenue? I wonder? Tock. BD4L. An interesting graph would be to overlay the Great Recession’s prices for select American cities over our “world-class” Canadian cities with this current drop, e.g., New York vs Toronto, San Fran vs Vancouver. There are estimated to be at least 7500 “illegal” airbnbs in Toronto. While the new regulations are being held up by OMB appeals, technically the previous bylaws, which prohibited short term rentals. are technically still in force, but aren’t being enforced, except in certain egregious cases. While landlords are digging in their heals and screaming bloody murder, with that kind of overwhelming council vote, it’s going to be pretty hard for the OMB to overturn the proposed restrictions. It’s sending a pretty strong message about where things are headed. Mind you, 80% of people voted against amalgamation way back when, and they went ahead anyway, a democracy this aint. There are estimated to be at least 7500 “illegal” units in Toronto. While the new regulations are being held up by appeals, technically the previous bylaws, which prohibited short term rentals. are technically still in force, but aren’t being enforced, except in certain egregious cases. While landlords are digging in their heals and screaming bloody murder, with that kind of overwhelming council vote, it’s going to be pretty hard to overturn the new restrictions. It’s sending a pretty strong message about where things are headed. Mind you, 80% of people voted against amalgamation way back when, and they went ahead anyway, a democracy this aint. You cannot beat a exponential function. Yearl principle increasing lead to inflation and destruction of currency. Manufacturing is a better way to create long term wealth, not housing inflation. Funny they don’t even mention the Increases in sales in Montreal, Ottawa and Halifax. Halifax has seen It’s biggest increase in sales since they started keeping records! Could it be a migration of the Asian people from Vancouver and Toronto – East? Probably because this article isnt about Ottawa and Montreal sales? It’s an article about dollar volume. Though if you look at the data it shows Ottawa and Montreal increased, so it’s not like they are hiding anything. I see condo overbuilding in many areas outside downtown. A recent survey indicated only 8% of Vancouver’s population has household income 0f $200,000 + to sustain a house purchase of $1, 000,000 plus. My question is where is all the money coming from to purchase all the $1.5 million to $3 million dollar homes?? The greater Fraser Valley average home prices are all listed in this range, so wheres the money coming from?? ?